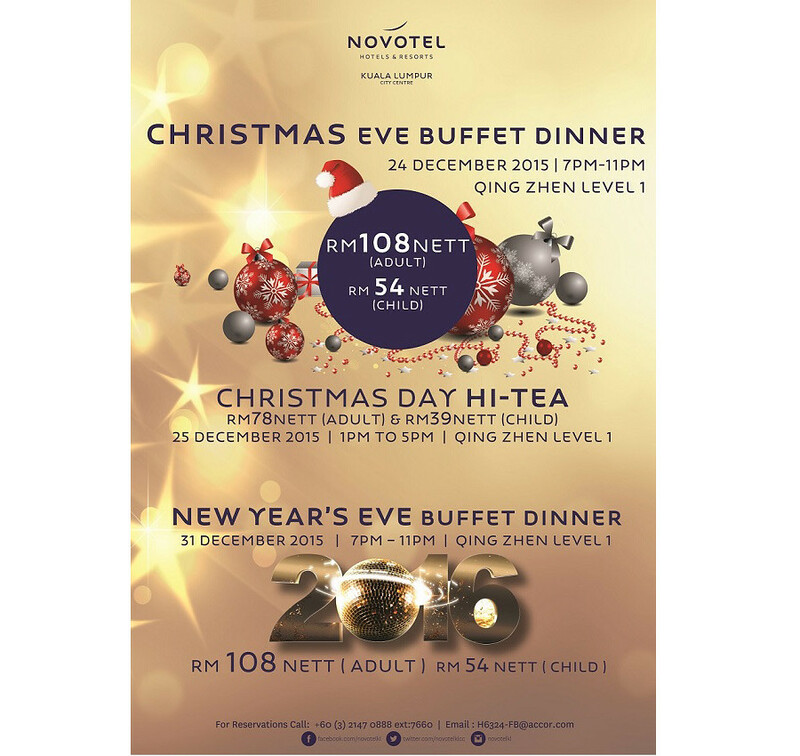 Bring family and friends together at Novotel KL for a Christmas feast to remember with their delicious buffet dinner with all the traditional trimmings. 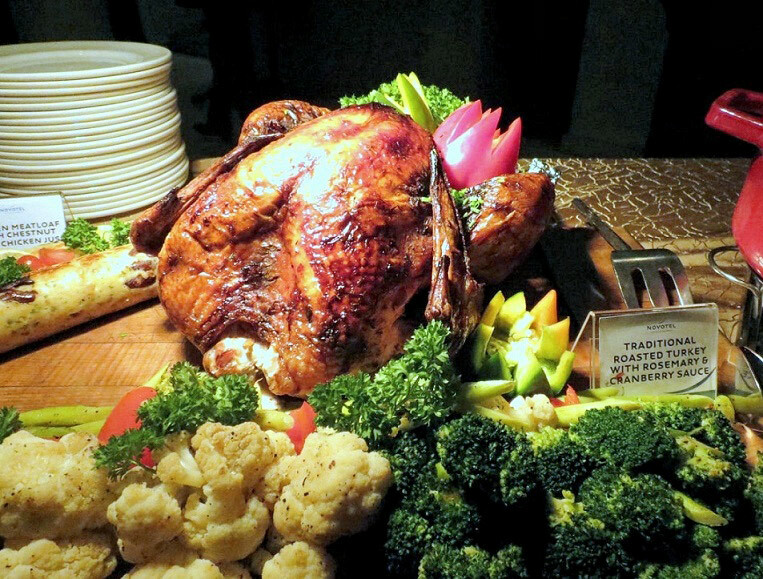 Novotel KL’s brigade of skilled chefs are showcasing an array of mouth-watering favorites from appetizers all the way to the dessert section. Whet your appetite starting with river salmon gravlax with lemon dressing, chicken galantine, oven-dried cherry tomato and mozzarella and basil dressing, prawn and avocado salad with lemon dressing, artichokes with vinaigrette, and creamy roasted pumpkin soup with a selection of breads, lavosh & butter. Head to the carvery station for a serving of traditional roasted turkey with rosemary & cranberry sauce and chicken meatloaf with chestnut and chicken juice. The main course consists of crowd-pleasers such as paella with saffron risotto, pan fried salmon with lemon cream sauce, Spanish Oxtail stew with olive and potatoes, minted shoulder of young lamb with rosemary juice, chicken roulade cordon bleu with stuffed cheese and spinach, ratatouille and many more. 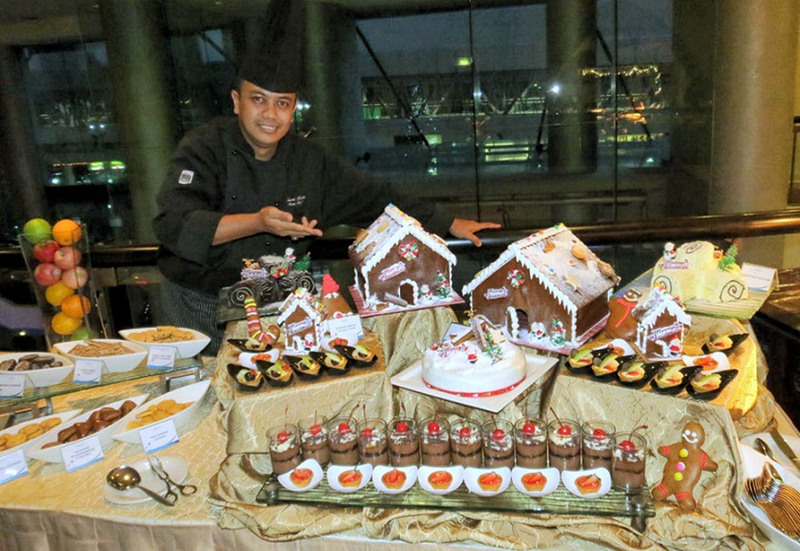 As for the Christmas-themed dessert station, cake-lovers are going to have ball with the tantalizing Yuletide delicacies such as Christmas Yule Log, Christmas pudding, Christmas stolen, rich mixed fruit cake, Chocolate truffle, Chocolate praline, Pavlova with Macadamia nut, panna cotta, French pastries, Christmas roll, Lychee pudding, Christmas fruit cake, ginger bread house/tree, Mailander cookies, Lebkuchen cookies, Brunsli cookies (chocolate–almond spice cookies), Basler Leckerli cookies, cinnamon star cookies, almond gingerbread cookies, Christmas tree fruits cookies, and many more (not forgetting chocolate fountain and ice cream corner)! 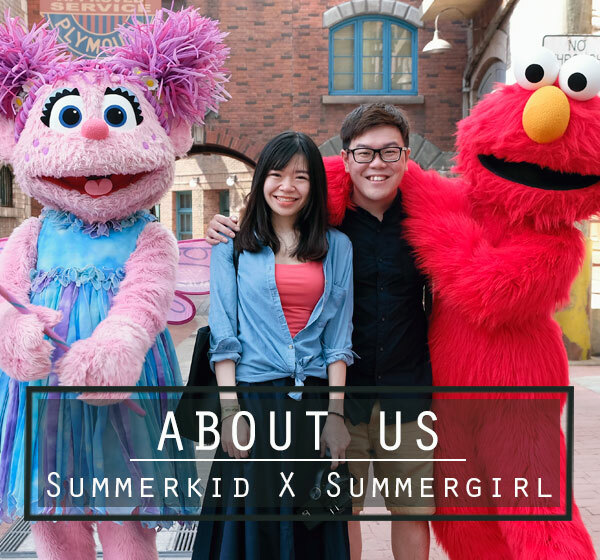 For more information and reservations, please call (6 03) 2147 0888 extension 7668.